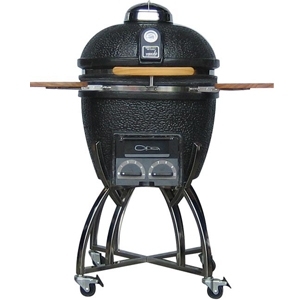 Unlike other kamado grills, the Patent pending Vision Grills Kamado Pro delivers quick starting, better temperature control and easy clean out with our innovative PRO ZONE. Grill, sear or even smoke within minutes. Dual calibrated bottom draft knobs combined with the top calibrated draft vent provides the ability to move between temperatures of 200° and 700°+ in minutes. Thick ceramic construction and design delivers a convection cooking environment for even cooking, superior temperature control and heat retention. Superior heat retention creates more eco-friendly coal consumption and reduced ash. The self contained cooking environment eliminates hot spots and flare ups. 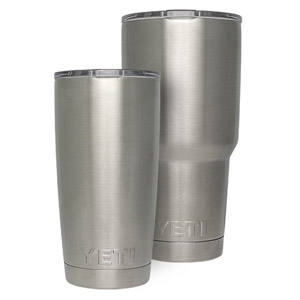 The YETI Tundra 35 Cooler is the ultra-portable model of Yeti Cooler's Tundra line, small enough to easily carry while still packing in the recommended 20 cans. It’s the best road trip companion you’ll ever meet — some people even refer to it as their YETI Car Seat. 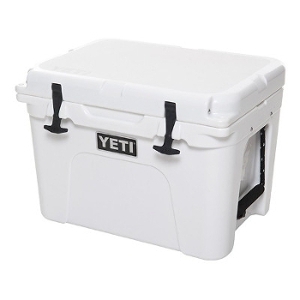 Thanks to 2 to 3 inches of cold-retaining insulation and extra-thick walls made from UV-resistant polyethylene, this cooler will keep your ice icy whether riding shotgun with you in the A/C, securely strapped to the back of your ATV, or basking in the sun on your boat.